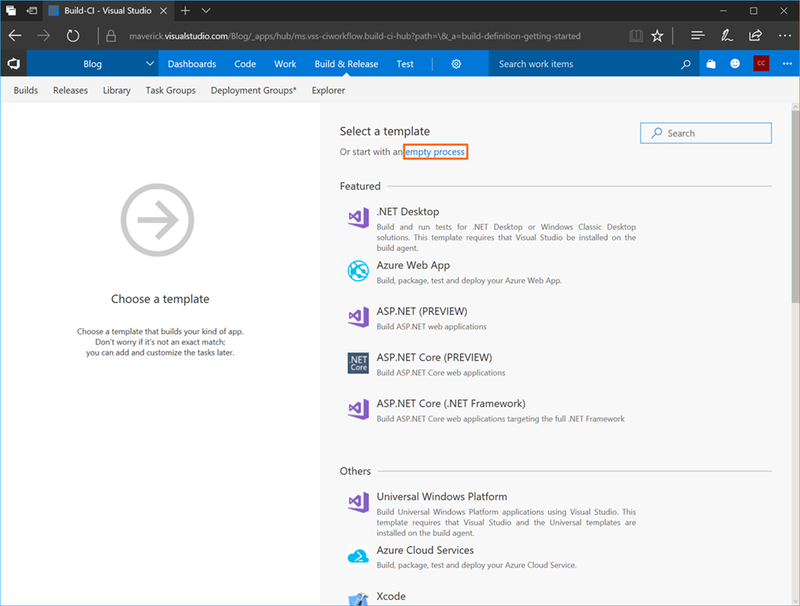 This post will guide you on how to build an Angular 4 app using Visual Studio Team Services and then deploy it to an Azure App Service instance. 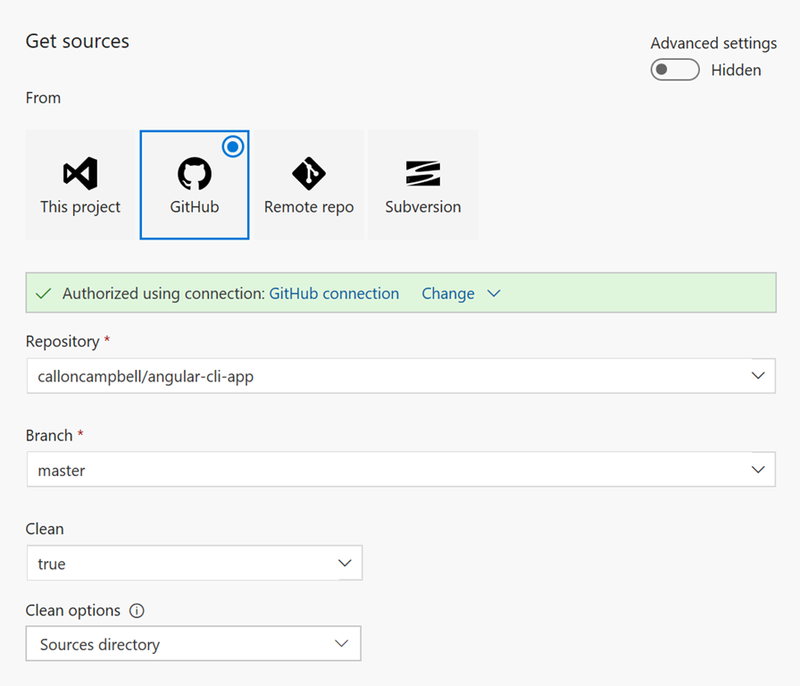 You will be required to have an active Visual Studio Team Services account. If you don’t have one you can signup for free here. 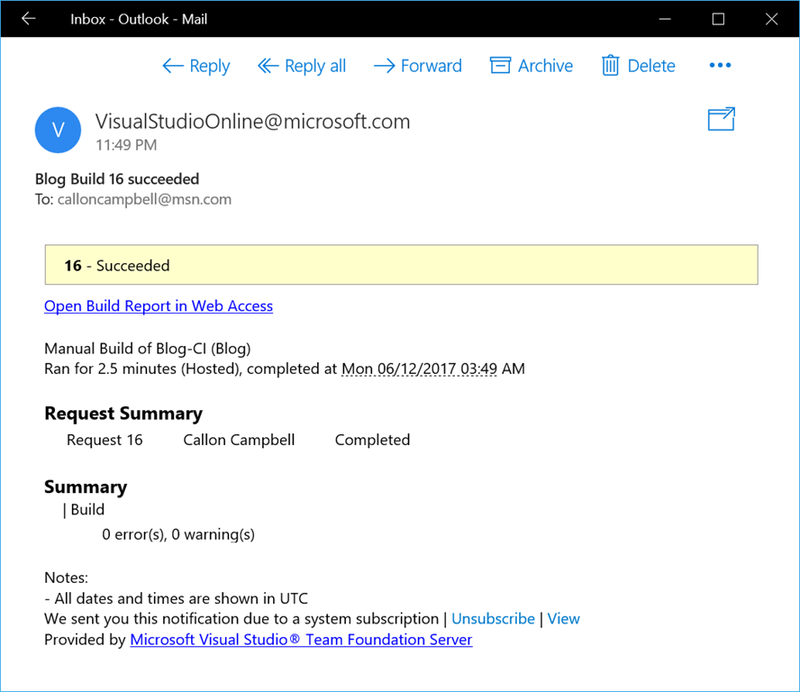 You will also need to have an active Azure subscription. If you don’t have one you can signup for a free trial here. Now that we have met the requirements, let’s get started. 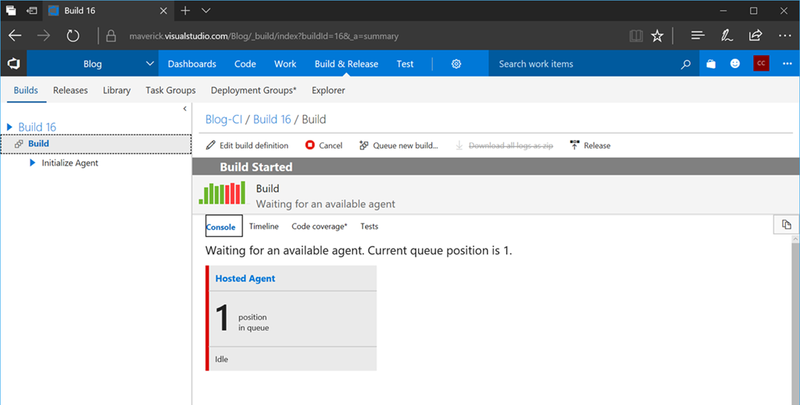 We will start by signing into your Visual Studio Team Services account and then navigating to the Build & Release tab from the top navigation links to create a build. 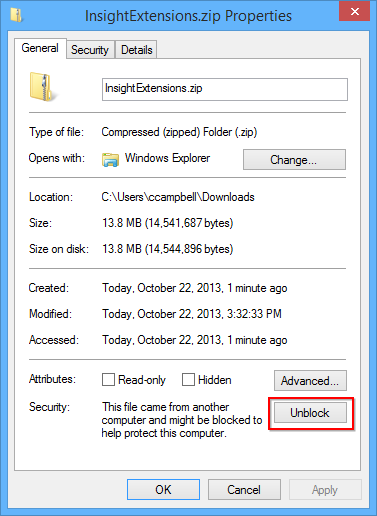 From here we will click on the New button to define a new build definition. 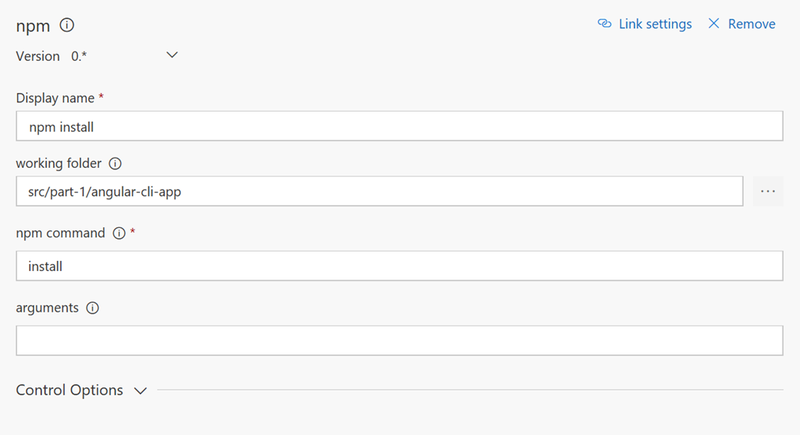 Next you will choose a template to use for your build. 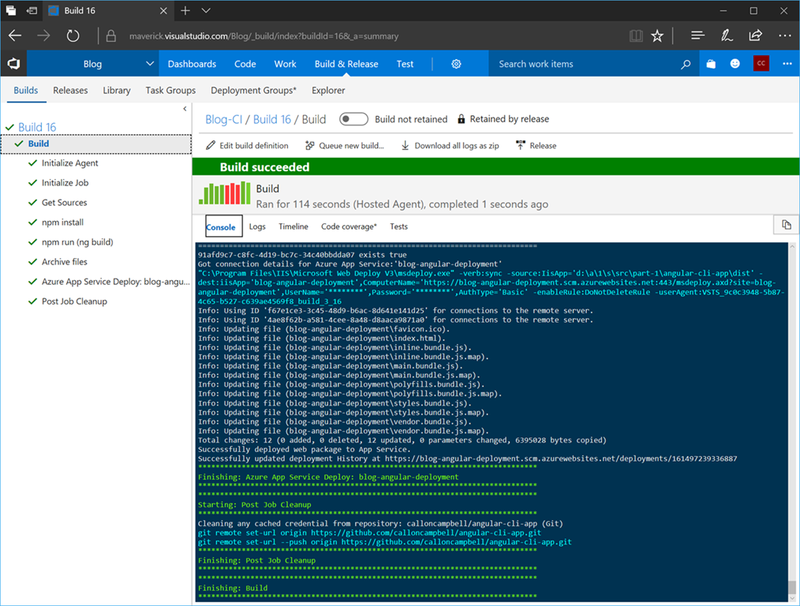 There are a lot of build templates so take a look at what’s available and choose what is most appropriate for your needs. 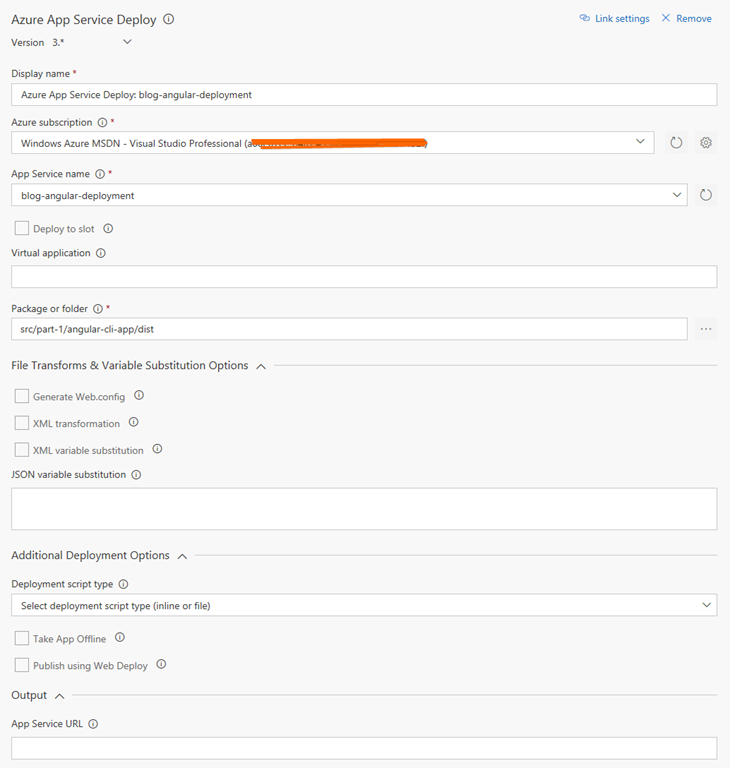 If you don’t see what you want, you can always choose the empty template which is what I’m going to do now and then add the necessary build tasks that make sense for you. 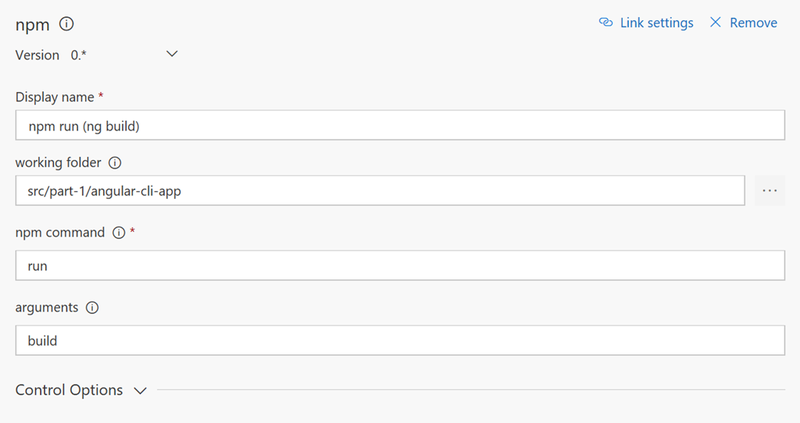 Now that we have our source code wired up, you’re ready to start defining your build tasks. 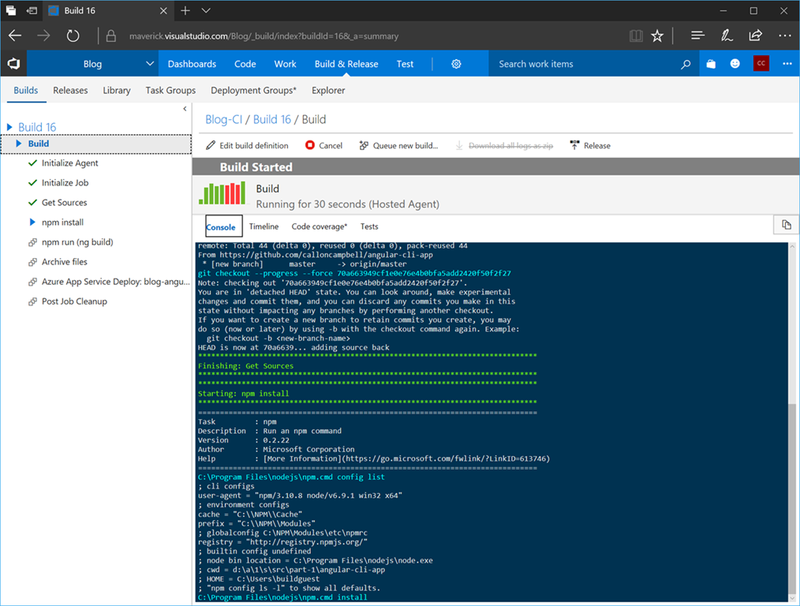 Finally we will deploy our app to an Azure App Service instance. 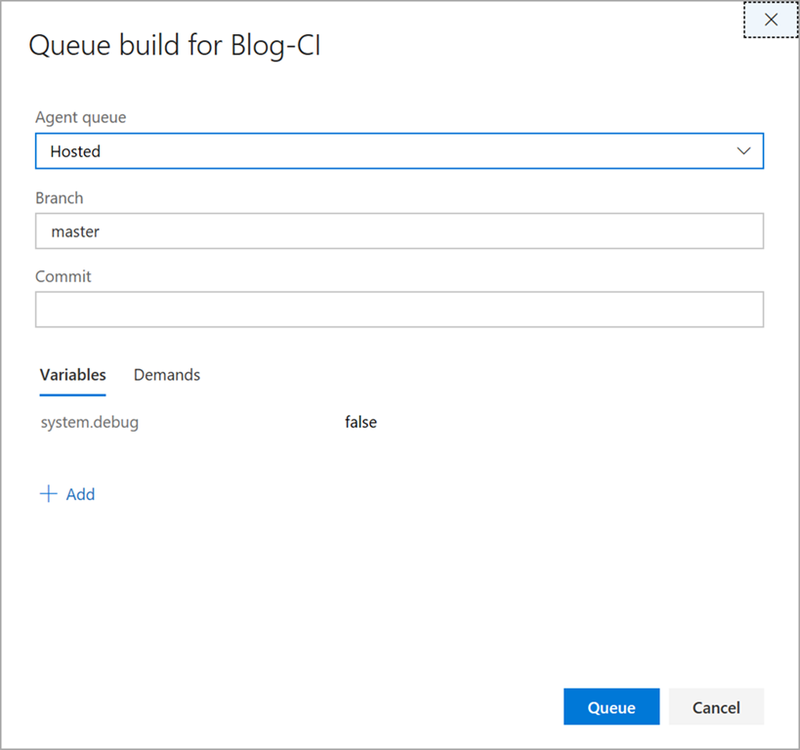 To do this you will want to have your Azure App Service already pre-configured. 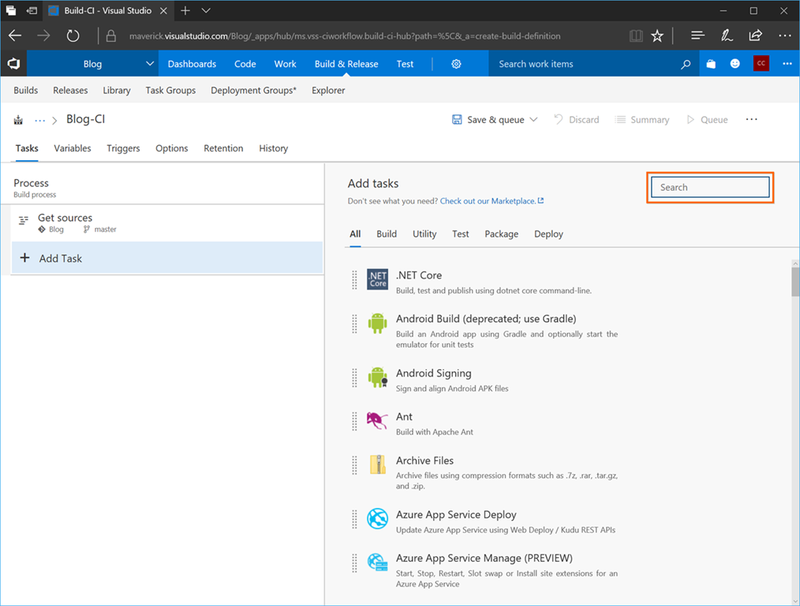 You can checkout this post for details on creating an Azure App Service. For more information on the differences between the hosted agents, checkout this link for further details. 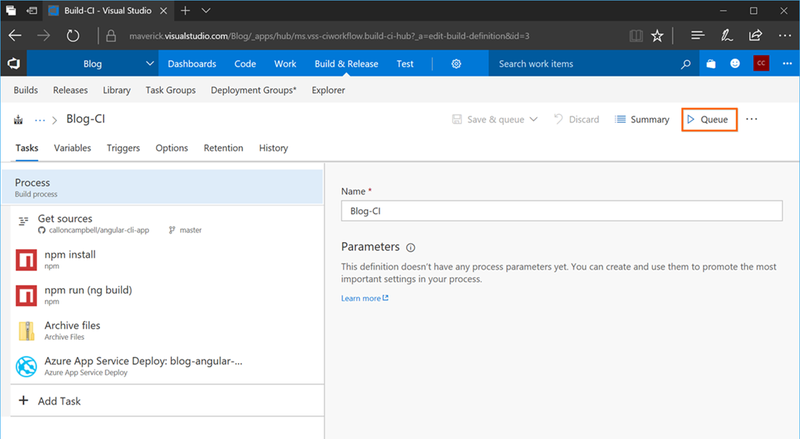 Now that I have a successful build, lets browse and take a look at our deployed Angular app: http://blog-angular-deployment.azurewebsites.net/ . 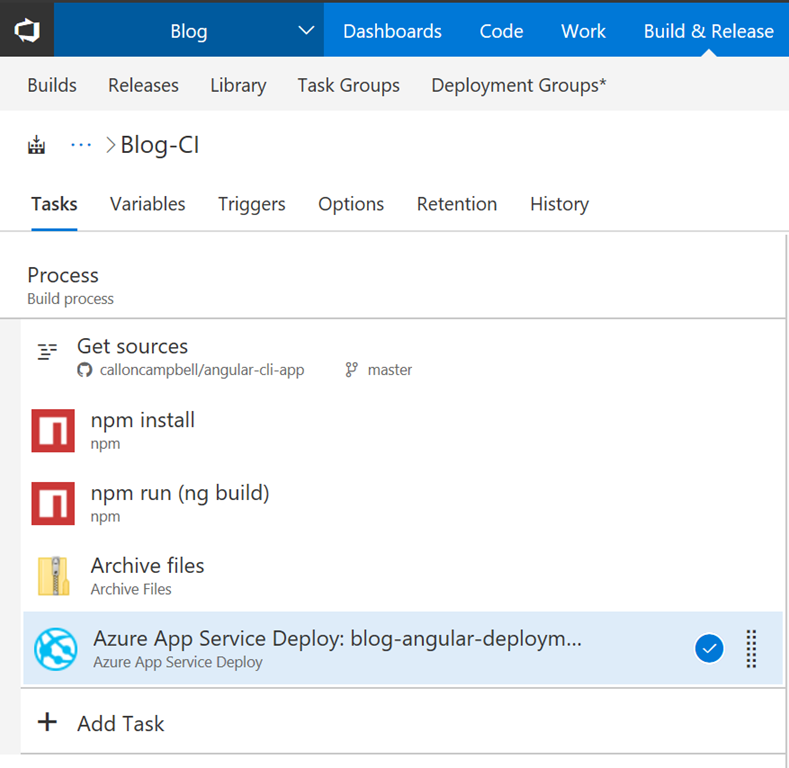 I hope this post helps your build and deploy your Angular apps to Azure. 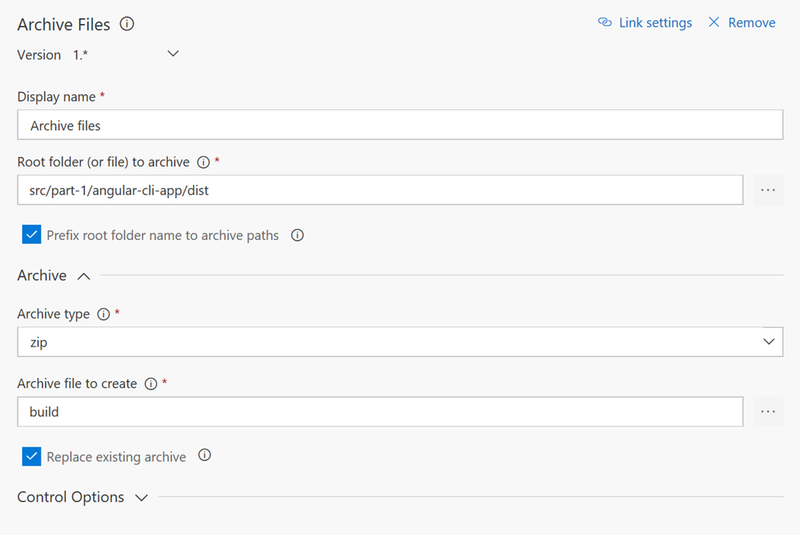 As you can see it’s very straight forward to setup and requires no build infrastructure on your end to make it happen.